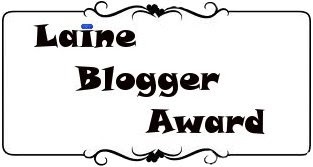 Yesterday I received the Laine blogger award ! 1. Tag the blogger who awarded you. 3. Award five more bloggers. I want to thank Jordy for give me this award. She is a very sweet girl with a lovely blog. She's actually one of my favourite bloggers && I would deff check her blog out - winks- . 1. what's your current beauty obsession? I want to say nail polish but I also love love love products for my cheeks. && I'm getting more and more into lip products lately. 2. What's one beauty item that you wish you owned? HOLOGRAPHIC NAIL POLISH for sure ! I'm on the hunt for a while now but I can't find it unless it has a shipping of €30 or more. 3. What's your favourite post to read or write about? Nail polish swatches & reviews. But reviews in general. I also love haul posts. They always give me inspiration on what to buy and what not to buy. Nails Inc. Connaught square 3D glitter. The five people that I tag with this award: Chantelle, Ochie, Laura , Kristen & Amie﻿.